These are various fire pit, grill, food and cooking related links that may be of interest to my visitors. 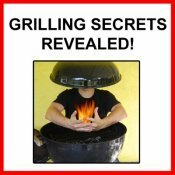 These fire pit and grill links should help you find any information not contained on my site and direct you to sources for great cooking and grilling related information or supplies. Epicurious.com - Epicurious.com supplies thousands of great recipes from numerous sources for free! While it is not exclusively grilling related, the advanced search option allows you to search just grill recipes. The recipes even have user ratings and comments for most recipes! Farm 2 Market - Great source for premium quality seafood online which can be shipped to your door directly from the best sources. Cut out the middleman and get your seafood direct from the source. Fresher than you can get in your supermarket! Grilling24x7.com - Grilling pictures, recipes and tips. They are all available at Grilling24x7.com! Just Smoked Salmon - If you like grilled food then you probably like smoked food too! This site has some great recipes using smoked salmon and also is a great source for smoked salmon and other smoked and cured products. Lobel's of New York - Lobel's is the best source for the finest and freshest USDA prime dry-aged steaks, roasts, specialty meats and gourmet products that money can buy. I know of no better source for fresh prime meats. You can even get the much sought-after Wagyu beef! They aren't cheap, but this is the best meat you will find. They ship all over the US. If you want to cook the best food on your grill or fire pit, you need the best ingredients! McReynolds Farms - This is a real pig farm source who ship their products just about anywhere! If you are planning a pig roast this is the place for you. They supply whole hogs in every size from small suckling pigs to large full size hogs. They also have whole lambs, rotisserie roasters, and other cooking accessories. 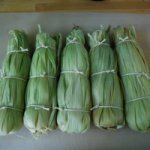 YummyFood - Yummyfood is the right place to find many original easy recipes, heirloom family favorites, and authentic Italian recipes. Sojoe Fire Pit - Sojoe makes some of the most beautiful, sturdy and functional firepit grills on the market. Learn more about this great fire pit on Sojoe's own website. SpitJack - Tools for Food & Fire! In addition to fire pits (yes, they carry the Sojoe), specializing in fireplace grills, rotisseries, other fireplace cooking accessories and outdoor spit cooking. Also a great selection of fire pits, grills, smokers, and firewood storage. 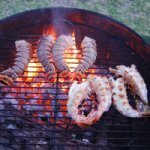 Grill Reviews - Viewpoints.com - The Viewpoints.com grill review page is literally crammed full of hundreds of reviews of just about every grill you can think of. Get tips on which are the best, what to look for, and what to avoid. Weber Grill - Weber® is a name that is virtually synonymous with grilling. Find out more about all of Weber's line of grills. For grill supply and vendor links, see our firepit and grill supply page. Find everything you need to get your fire or grill roaring and the food cookin'! It includes sources for getting the best raw ingredients for your perfect grilled meal! Do you run a related website? If so, consider exchanging links with me! Please use our Reciprocal Link Exchange Form to be included on our links page. 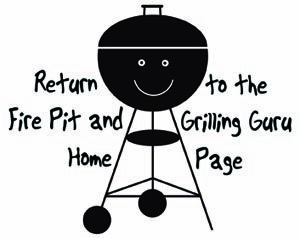 Return to the top of the Fire Pit and Grill Links page.